195. A mode of driving a pair of feed-rolls, the opposite surfaces of which require to move in the same direction. 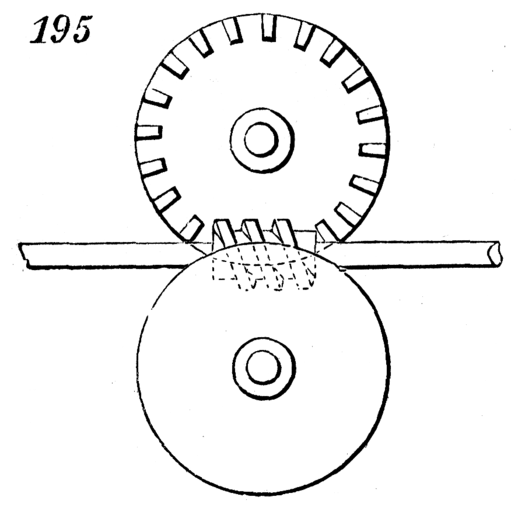 The two wheels are precisely similar, and both gear into the endless screw which is arranged between them. The teeth of one wheel only are visible, those of the other being on the back or side which is concealed from view.